Performed successfully for decades by Wilmington Plastic Surgery physicians, ear surgery, also known as otoplasty, can improve the shape, position or proportion of the ear, whether the undesired appearance occurred through natural development or as a result of an injury. Ears that protrude or seem out of proportion to a person’s other facial features can detract from his or her physical appearance. Ear surgery can create a natural shape, bringing balance and proportion to the ears and face. Correction of even minor defects can have profound benefits to appearance and self-esteem.  If protruding or disfigured ears cause you or your child to be dissatisfied with your looks, talk to one of Wilmington Plastic Surgery’s board-certified experts about otoplasty.